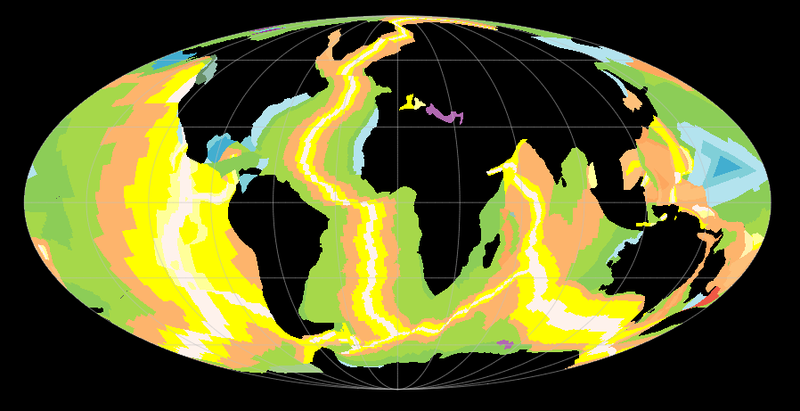 The world colored by geological epoch, filling the static polygons. 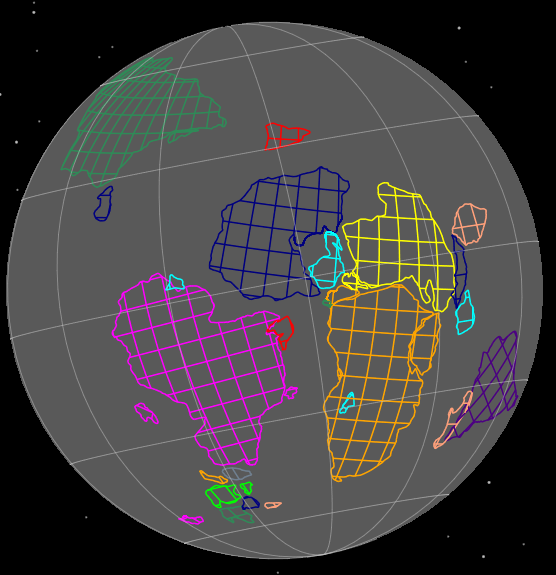 Coloring the polygons by era in GTS2012 colors. 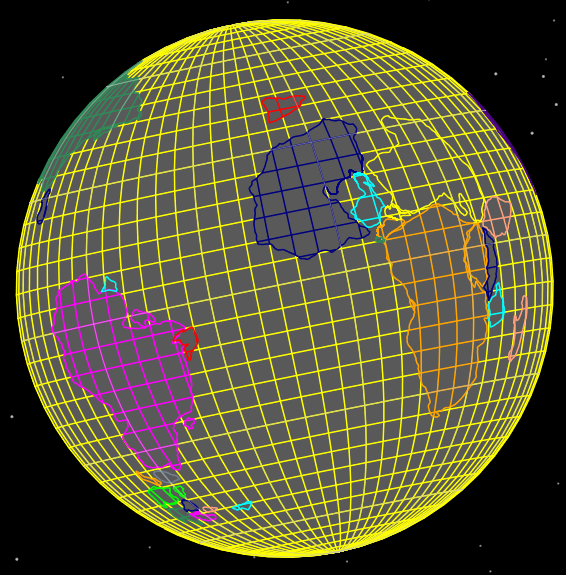 The world in normal polarity and reverse polarity according to the Gee & Kent geomagnetic polarity timescale (using the filled static polygons). 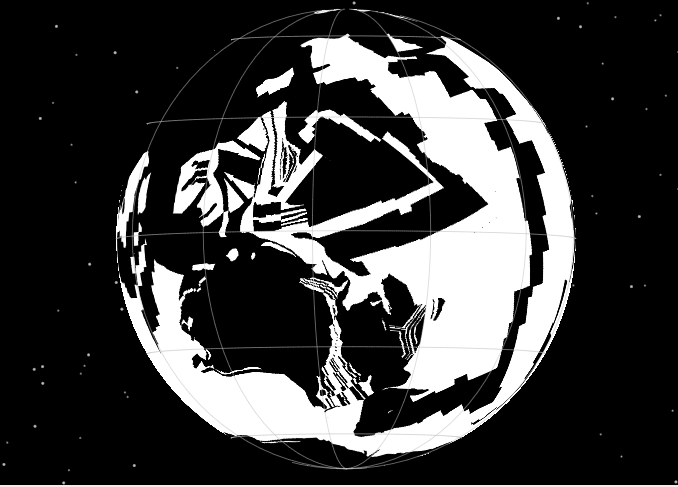 That planet looks way to boring – hemispherical view of the Earth with the static polygons colored according to a normal (white) and reverse (black) geomagnetic polarity. Again using the Gee & Kent 2007 timescale. 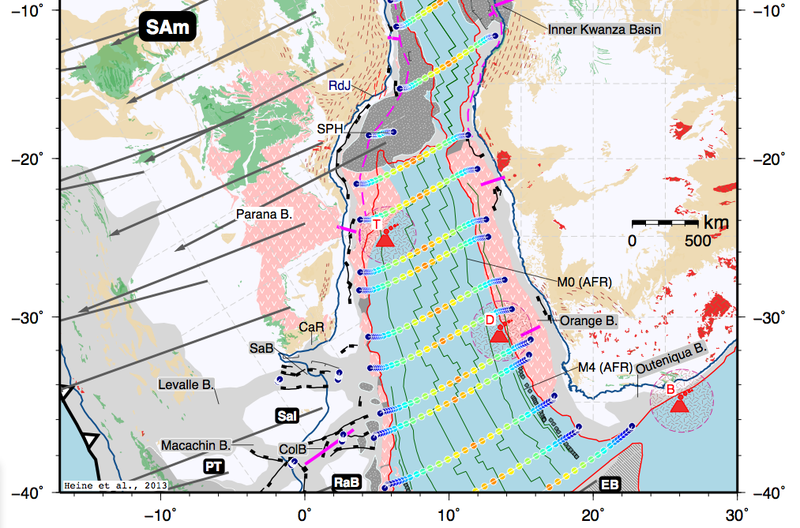 The geological age color palettes can be added to the Draw style (Manage colouring). 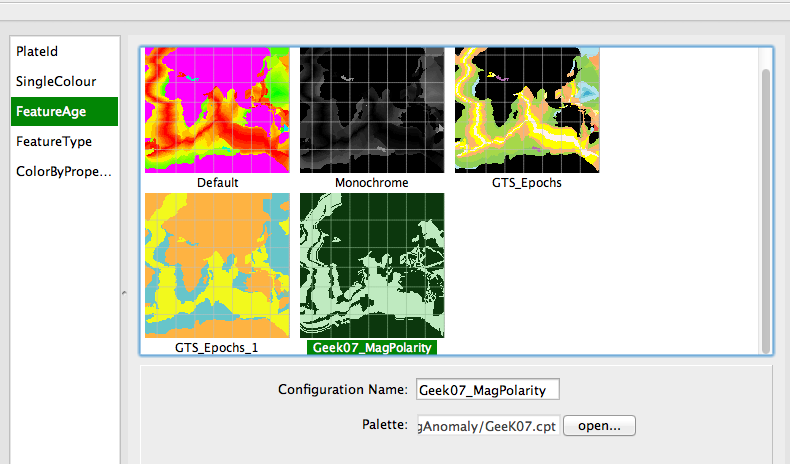 Once the new colour palettes are available, they can be assigned to the individual layers either through the layer window or through “Features -> “Manage colouring” . 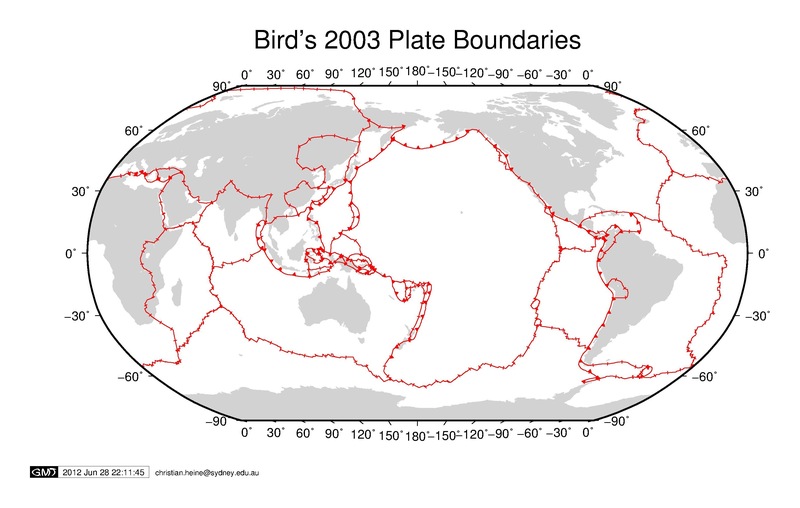 This entry was posted in Geo-Hacks, GMT, GPlates and tagged Cenozoic, Epochs, Era, Geological Time Scale, Geomagnetic Polarity Timescale, GMT, GPlates, Magnetic chrons, Mesozoic, Paleozoic, Stages on 04/11/2013 by Christian. 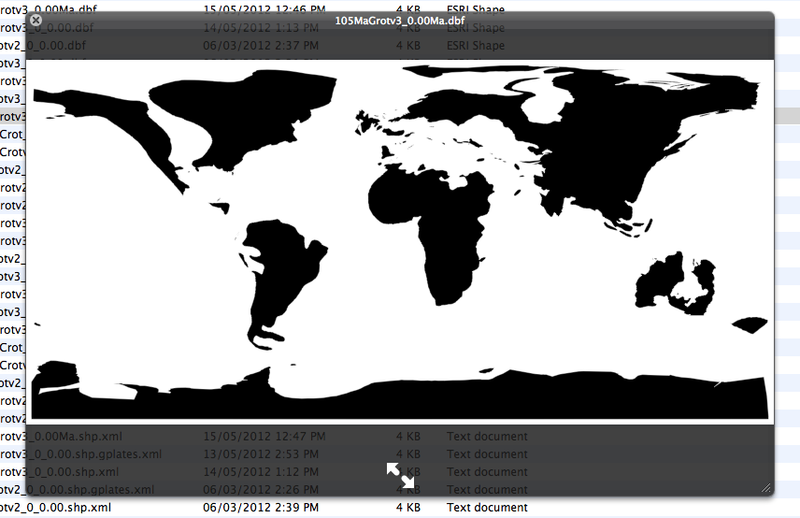 Previewing a shapefile using the GISlook quicklook plugin. 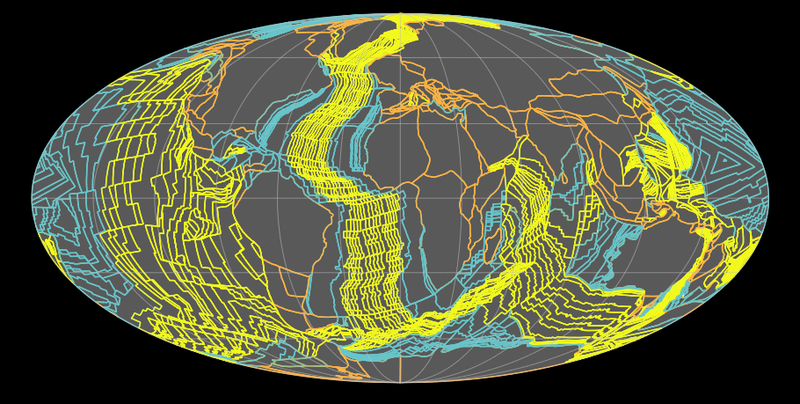 This entry was posted in Geo-Hacks, Geospatial and tagged GIS, Mac OS X, Plugin on 05/07/2012 by Christian. 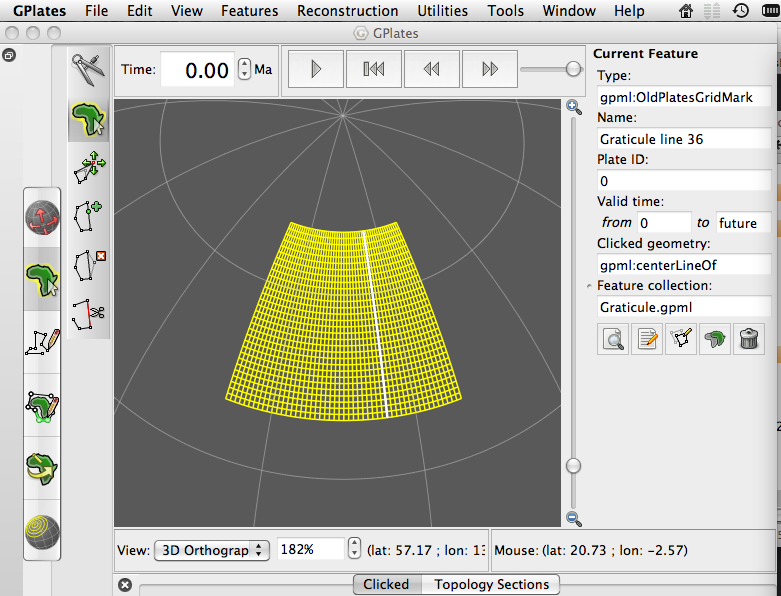 -zvalue Uses the specified field to fill the Z coordinate of geometries. 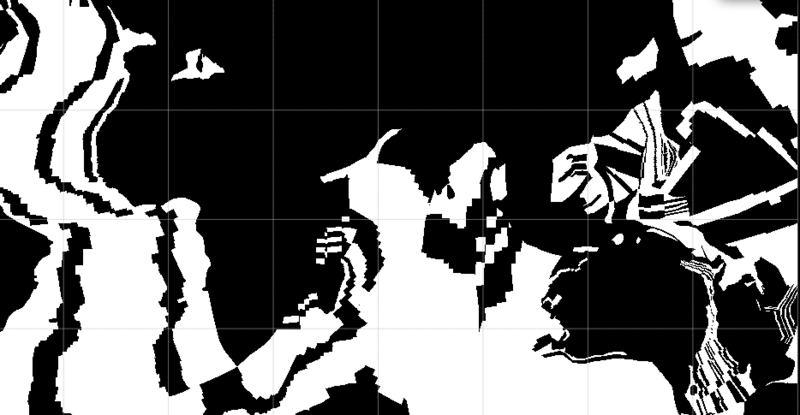 Turning an attribute from a shapefile into a z-Value for GMT files ogr2ogr and this flag is easy and helps to avoid ArcGIS’ 3D Analyst’s “Feature Attribute to Z-Value” function. 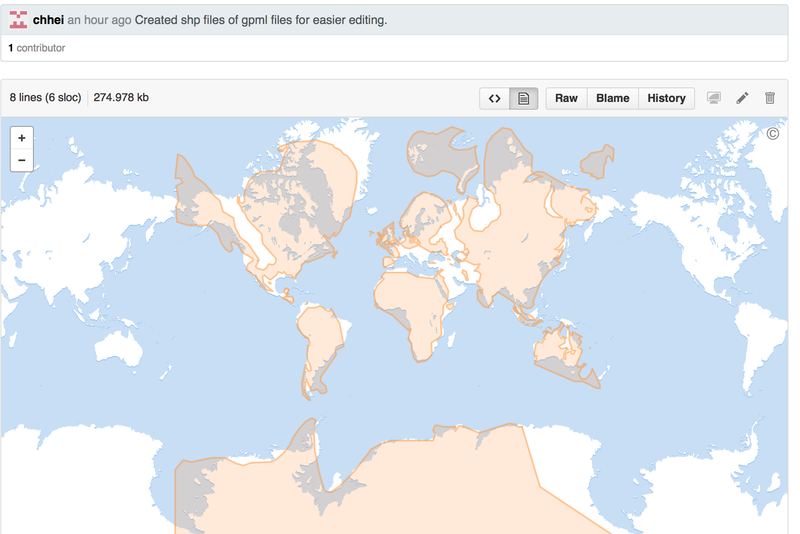 ogr2ogr -F"GMT" OutFileWithZValues.gmt InFileWithZAttribute.shp -zfield"Thickness"
This entry was posted in Geo-Hacks and tagged GMT, ogr2ogr, SHP on 30/03/2012 by Christian.